Our thanks to all of the designers who contributed to this necklace! Each of us know friends or family members devastated by breast cancer, which maims and kills women and men alike. In 2001, the people of Fire Mountain Gems and Beads initiated the Circle of Hope Necklace, an annual awareness and fundraising effort. This necklace will be auctioned to raise funds for breast cancer research. 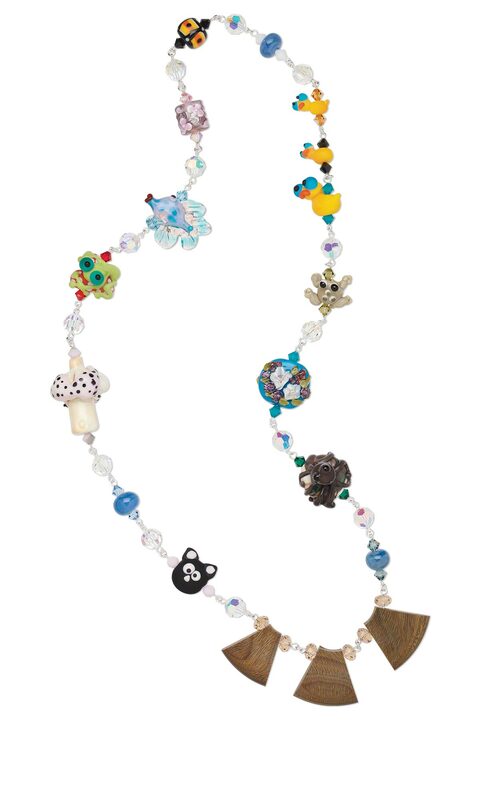 Over 13 talented artists donated the beads on this year's necklace. Their names are listed with deep appreciation. The components were crafted into a unified artwork by Marlynn McNutt, who is a breast cancer survivor herself. Every year, the list of survivors gets longer. Every year, the circle of hope grows. Meet the 12 caring and talented artists who have donated to this year's Circle of Hope necklaces! Thank you to the talented and generous artists who donated one-of-a-kind art beads to the 2008 Circle of Hope project, in support of breast cancer research.